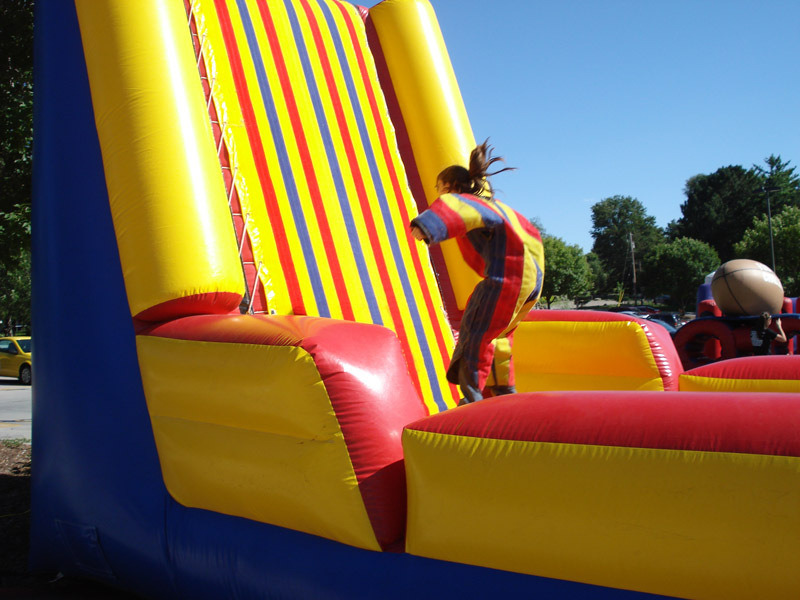 Our giant inflatable Velcro Wall is a smash hit! Take a running leap from the bouncy platform and launch yourself into the air! Put it all out there and go whole hog! The better the launch the higher you will stick! Try for crazy landings, upside downs, or just see who can get the highest on the wall! Great for everyone and sure to be a laugh!